...trying to follow Khadija's footsteps. 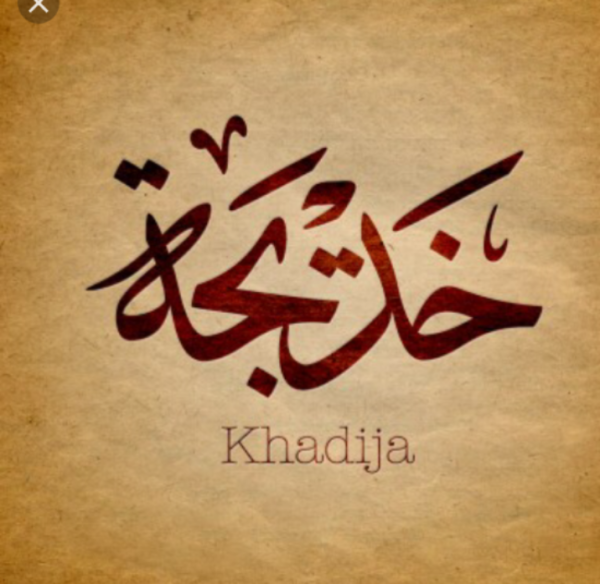 Khadija's father was a successful business man in their Quraysh tribe of Mecca. She was blessed to emulate the skills from her father as merchant, especially during an era in which the society was mainly male dominated. These skills were useful to her, especially when her dad passed away and she was left with no choice but to take over her dad's business. Khadija was very meticulous, picky and hired only the best men that were willing to embark on the dangerous trade routes to collect/deliver her goods between Mecca, Syria and Yemen. This is how she met our Prophet (peace and blessings be upon him), while she hired him due to his ability to ride caravans. He was 25 and she was 40 years. I have heard few non-Muslim people, on the media, saying that 'how can you be a muslim business woman? The few muslim women that I know of, are housewives.'. Lol. How I wish these people were talking to me, I would have given them a couple of history's lesson and tell them about the Mother of Believers, Muhamed (peace and blessings be upon him)'s first wife, Khadija bint Khuwaylid. I reckon it's safe to say Khadija was the first Muslim Feminism. Personally, I can continue striving to be half like she was, I would consider myself very successful in most areas of my life (e.g. spiritually, financially and emotionally). The age gap between is a very interesting point, especially because it breaks another stereotype about Islam. Especially nowadays, when the media paints black Muslim Men from the Middle East by saying that they tend to marry very young girls. The first Muslim Believer, First Wife of our Prophet (peace and blessings be upon him) was 15 years older and a successful business woman that initially hired him. One more point I would love to mention is how Khadija used to help the poors, the widows, the sick and orphans with her earnings. Such an heroine! Khadija was such an inspirational and remarkable woman of mankind. She continues to be an example for us muslim women because through her behaviour she taught us what a modest and courageous woman can accomplish.